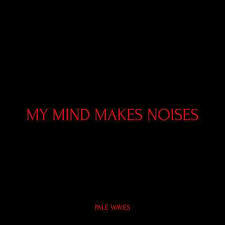 New Single From Debut Album 'My Mind Makes Noises'. Pale Waves have released ‘One More Time’. This is the latest single to be taken from the band’s highly anticipated debut album My Mind Makes Noises, released 14th September through Dirty Hit. The album also features ‘There’s A Honey’, ‘Television Romance, ‘Kiss’, and current single ‘Eighteen’. The album’s release comes ahead of the band’s UK, Europe, Ireland and North America headline tours, including their biggest headline show to date at the O2 Shepherd’s Bush Empire in London. Tickets are on sale now and available at www.palewaves.co.uk.